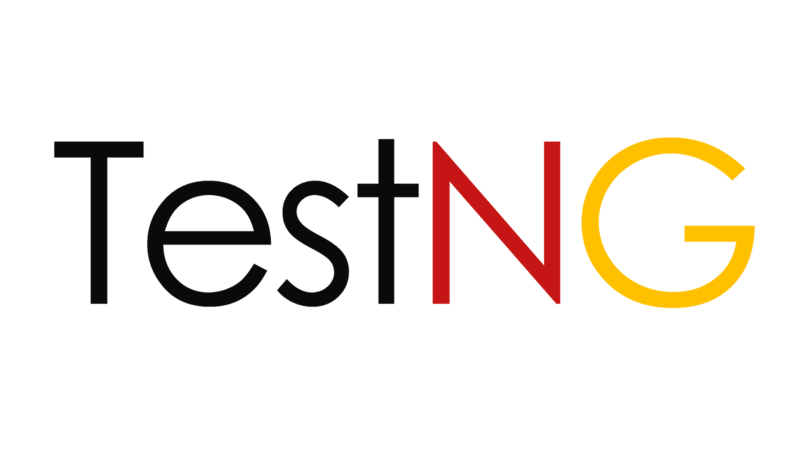 TestNG is a testing framework designed to simplify a broad range of testing needs, from unit testing to integration testing. For more information. 2. What are the advantages of TestNG? 3. What are the annotations available in TestNG? 4. Can you arrange the below testng.xml tags from parent to child? 5. How to create and run testng.xml ? In TestNG framework, we need to create testng.xml file to create and handle multiple test classes. We do configure our test run, set test dependency, include or exclude any test, method, class or package and set priority etc in the xml file. 6. What is the importance of testng.xml file? 7. How to pass parameter through testng.xml file to a test case? We could define the parameters in the testng.xml file and then reference those parameters in the source files. Create a java test class, say, ParameterizedTest.java and add a test method say parameterizedTest() to the test class. This method takes a string as input parameter. Add the annotation @Parameters(“browser”) to this method. The parameter would be passed a value from testng.xml, which we will see in the next step. We could set the parameter using the below syntax in the testng.xml file. Here, name attribute represents the parameter name and value represents the value of that parameter. 8. What is TestNG Assert and list out common TestNG Assertions? 9. What is Soft Assert in TestNG? Soft Assert collects errors during @Test. Soft Assert does not throw an exception when an assert fails and would continue with the next step after the assert statement. 10. What is Hard Assert in TestNG? 11. What is exception test in TestNG? TestNG gives an option for tracing the Exception handling of code. You can verify whether a code throws the expected exception or not. The expected exception to validate while running the test case is mentioned using the expectedExceptions attribute value along with @Test annotation. 12. How to set test case priority in TestNG? We use priority attribute to the @Test annotations. In case priority is not set then the test scripts execute in alphabetical order. 13. What is Parameterized testing in TestNG? 14. How can we create data driven framework using TestNG? By using @DataProvider annotation, we can create a Data Driven Framework. 15. How to run a group of test cases using TestNG? 16. How to create Group of Groups in TestNG? 17. How to run test cases in parallel using TestNG? 18. How to exclude a particular test method from a test case execution? 19. How to exclude a particular test group from a test case execution? 20. How to disable a test case in TestNG ? To disable the test case we use the parameter enabled = false to the @Test annotation. 21. How to skip a @Test method from execution in TestNG? Once SkipException() thrown, remaining part of that test method will not be executed and control will goes directly to next test method execution. 22. How to Ignore a test case in TestNG? To ignore the test case we use the parameter enabled = false to the @Test annotation. 23. How TestNG allows to state dependencies? TestNG allows two ways to declare the dependencies. 24. What are the different ways to produce reports for TestNG results? TestNG offers two ways to produce a report. Reporters implement the interface org.testng.IReporter and are notified when all the suites have been run by TestNG. The IReporter instance receives a list of objects that describe the entire test run. 25. What is the use of @Listener annotation in TestNG? TestNG listeners are used to configure reports and logging. One of the most widely used listeners in testNG is ITestListener interface. It has methods like onTestStart, onTestSuccess, onTestFailure, onTestSkipped etc. We should implement this interface creating a listener class of our own. Next we should add the listeners annotation (@Listeners) in the Class which was created. 26. How to write regular expression In testng.xml file to search @Test methods containing “smoke” keyword. Regular expression to find @Test methods containing keyword “smoke” is as mentioned below. 27. What is the time unit we specify in test suites and test cases? 28. List out various ways in which TestNG can be invoked? 29. How To Run TestNG Using Command Prompt? 30. What is the use of @Test(invocationCount=x)? 31. What is the use of @Test(threadPoolSize=x)? The threadPoolSize attribute tells to form a thread pool to run the test method through multiple threads. 32. What does the test timeout mean in TestNG? The maximum number of milliseconds a test case should take. In this example, the function testCase1 will be invoked ten times from three different threads. Additionally, a time-out of ten seconds guarantees that none of the threads will block on this thread forever. 33. What are @Factory and @DataProvider annotation? @Factory: A factory will execute all the test methods present inside a test class using a separate instance of the respective class with different set of data. @DataProvider: A test method that uses DataProvider will be executed the specific methods multiple number of times based on the data provided by the DataProvider. The test method will be executed using the same instance of the test class to which the test method belongs. East or West, Naveen is the Best!!! !